October is Breast Cancer Awareness Month. There are currently 2 million American women survivors of breast cancer. To raise money for breast cancer awareness, research, and medical treatment, many companies and independent artists are donating a portion of their sales from certain products. This week, I will be posting some of those products! 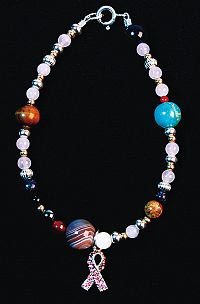 Today, my featured company is Wandering Star Designs. 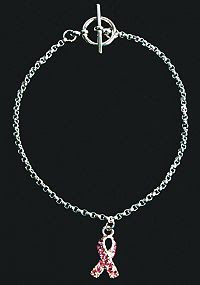 Wandering Star has created a really lovely collection of beaded bracelets and necklaces featuring glass, rose quartz, sterling silver and swarovski crystals. 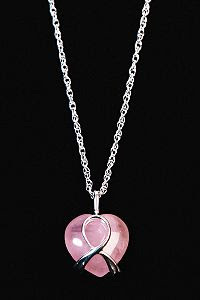 $5 from every sale of the Pink Ribbon Collection will be donated to the American Cancer Society. Get shopping HERE.